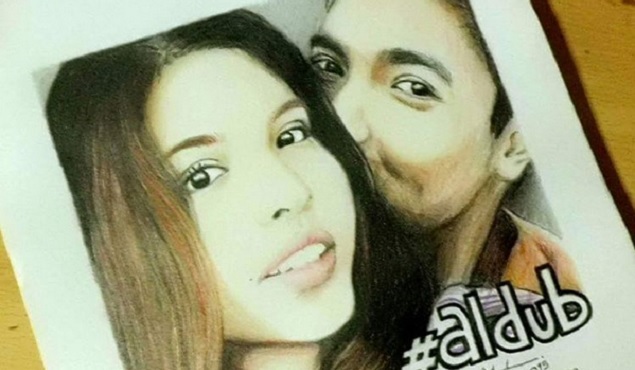 AlDub Twitter hashtags have been the most engaged social media items in the Philippines for the past two months. But the super popularity of phenomenal couple Maine Mendoza, a.k.a Yaya Dub, and Alden Richards has also crossed over to Instagram. In fact, the couple made it to the elite circle of 33 Filipinos, all of them TV personalities, that have more than 1 million IG followers. It's Showtime host Anne Curtis is still the Philippines' Queen of Social Media, being the only one with more than 3 million followers. 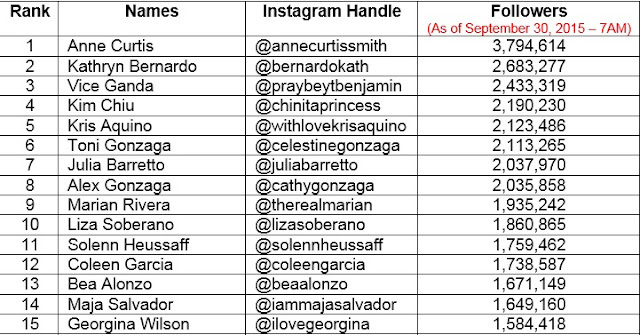 She is way ahead of the pack, including Teen Queen Kathryn Bernardo who has 2.6 million followers. Bernardo just eclipsed Vice Ganda for the runner-up spot with the latter collecting 2.4 million followers. 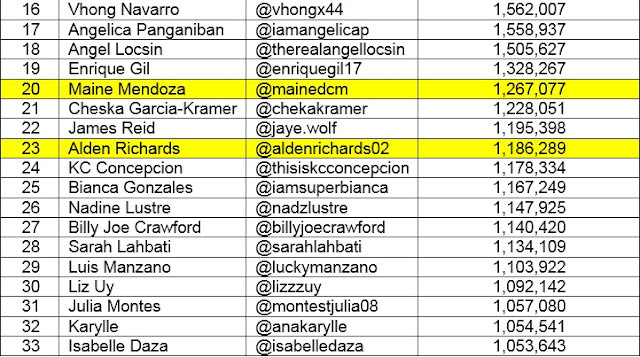 Meanwhile, over at competing KalyeSerye, Maine Mendoza is ranked 20th with 1.2 million followers. Her leading man, Alden Richards is ranked 23rd, just behind teen idol James Reid, with more than 1.1 million followers. Maine and Alden are the latest additions to our Instagram "millionaire's list". Their Instagram pages are also the fastest-growing, collecting an average of more than 500 followers per hour. If the trend continues, both would get to 2 million followers in 2 months. Here is the complete list. Remember that the numbers were collected at 7 in the morning of September 30, 2015. The figures will change of course, when you check their Instagram pages at a later time.